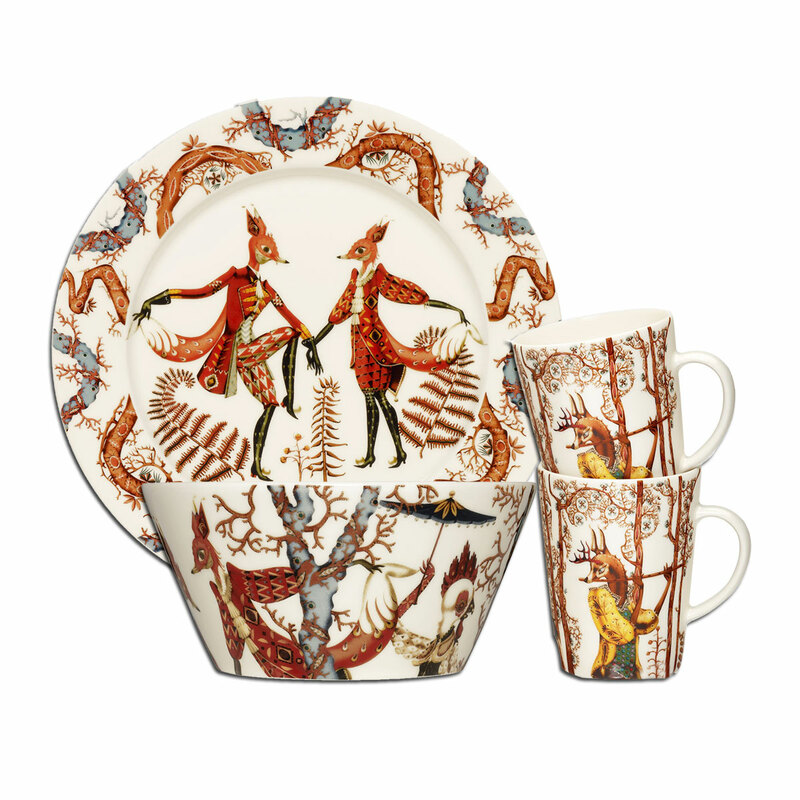 More about iittala Tanssi Dinnerware iittala Tanssi was inspired by the artwork Klaus Haapaniemi created for the Finnish National Opera production of The Cunning Little Vixen. Influences from Oriental and Slavic imagery, traditional storybook illustrations and even Art Deco can be found in the detailed line work. 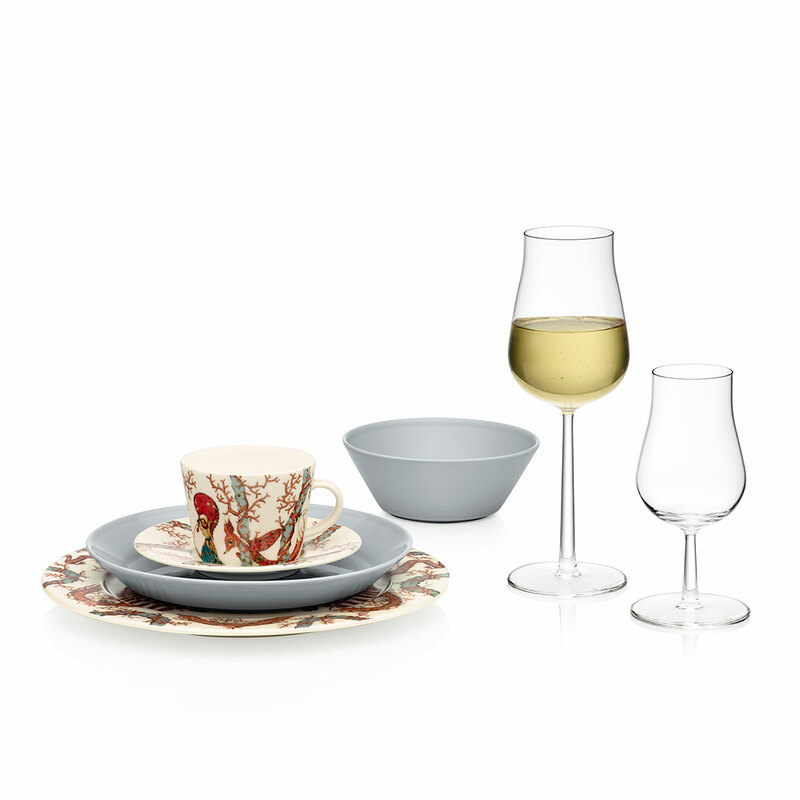 Though rich, Tanssi is surprisingly versatile and beautifully paired with other iittala dinnerware and glassware such as Teema and Kartio. 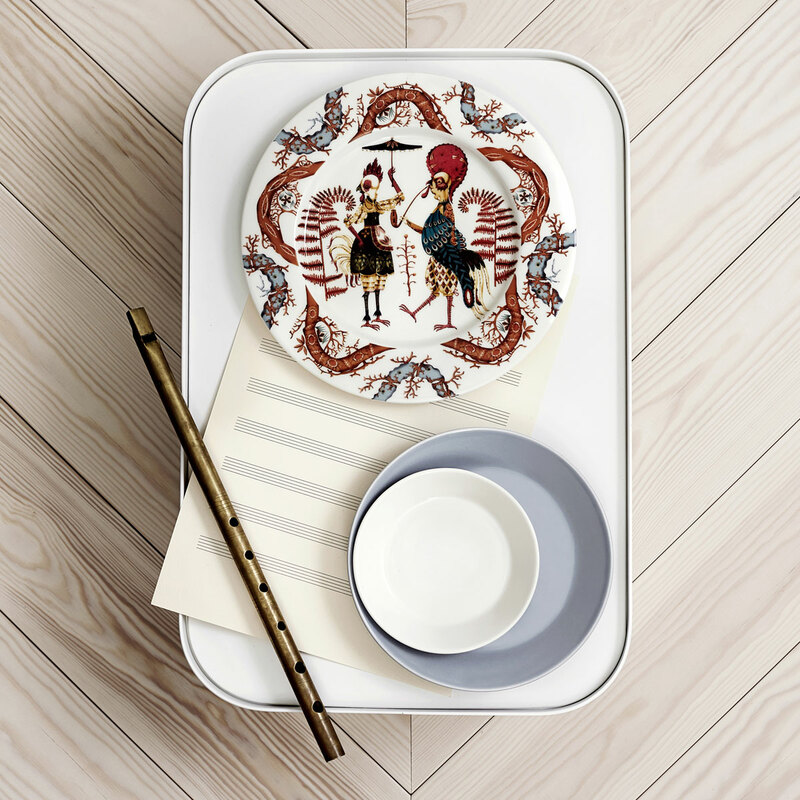 Each porcelain piece is dishwasher, microwave, oven and freezer safe, making the dinnerware as sensible as it is stunning for special occasions and everyday dining. Whenever I set the table my guests always compliment this pattern . 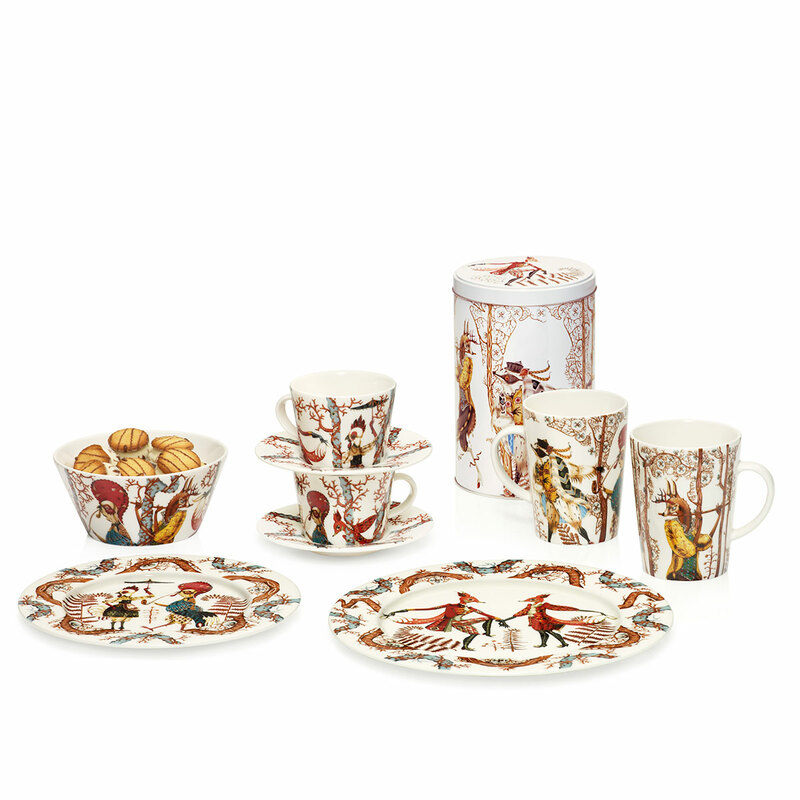 The decorative figures are festive and suits each season. Every morning I enjoy my first cup of coffee in my vixen mug .